“Garden to Table” is the best way to describe my passion for adding purpose to landscapes in suburban neighborhoods, office parks, school campuses and retirement communities. With an education in design, an enthusiasm for ornamental horticulture, and a hunger for local, organically raised produce I see potential to grow food in every cultivated space. 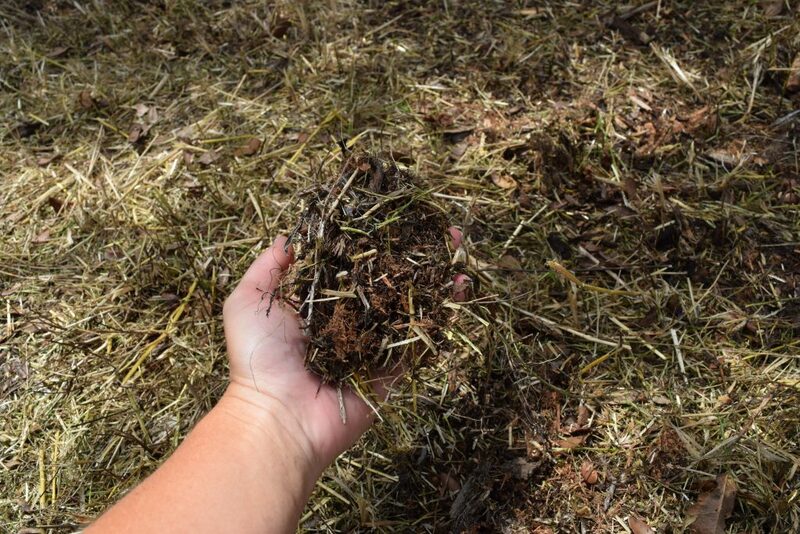 From simple crops like garlic to low maintenance cover crops and grains, open mulch space in an opportunity waiting to happen! Foodscaping isn’t new, in fact this strategy for planting food crops in convenient locations goes back centuries! 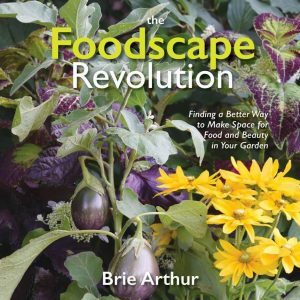 From cottage gardens and potage to the edible landscapes described by Rosalind Creasy, Foodscaping is just a modern term for a logical and easy way to grow meaningful amounts of food. 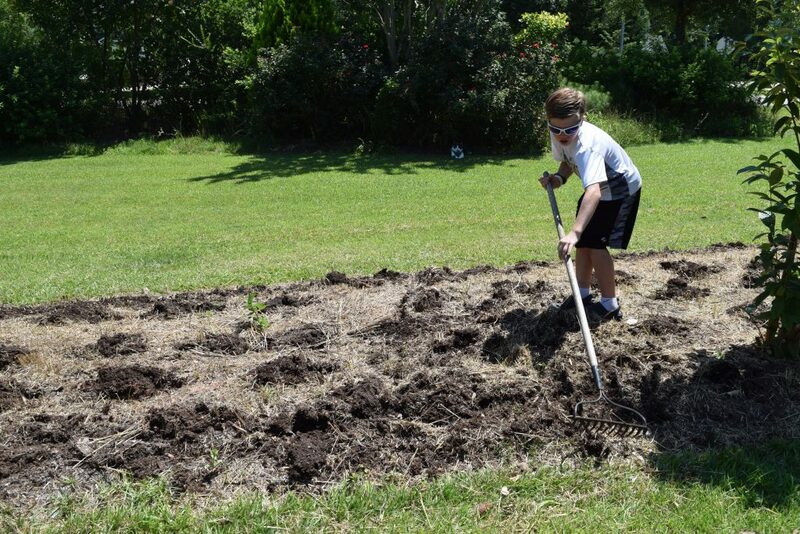 Start by thinking “outside the box.” Lumber encased beds are NOT the only way to grow food. In fact, raised beds are generally the cause for the “no food in the front yard” mantra of suburban HOA restrictive covenants. Boxed beds can also cause decreased production due to over planting. This also can lead to insect and disease problems. Additionally this method of containing edibles limits available square footage and creates monocultures. Did you know that only four plant families make up the lions share of the edibles grown home gardeners? 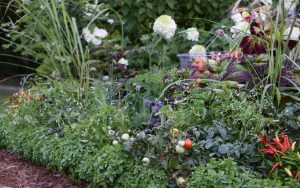 By incorporating popular annual crops like tomatoes, peppers, kale and chard into the landscape you will add brilliant colors and textures that blend beauty and abundant harvest. The ornamental plants offer the biological diversity to attract beneficial insects. 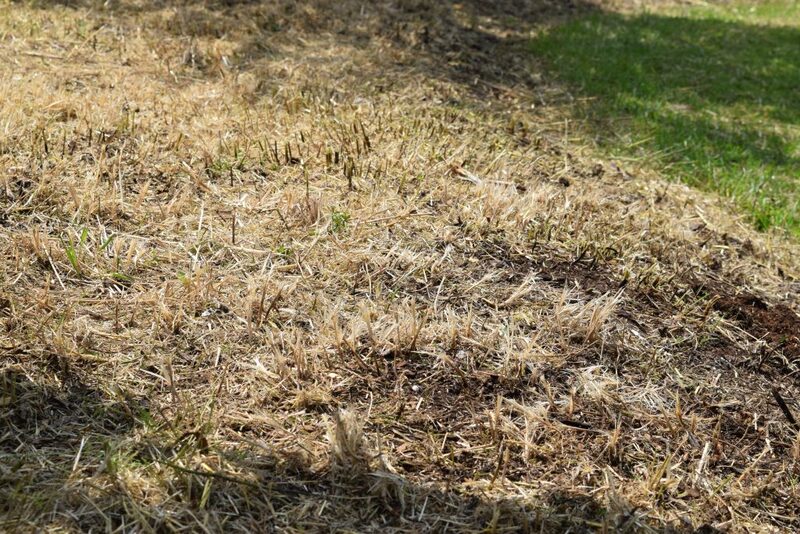 Focus on developing the sunniest areas of your landscape, as most edibles prefer bright exposure. 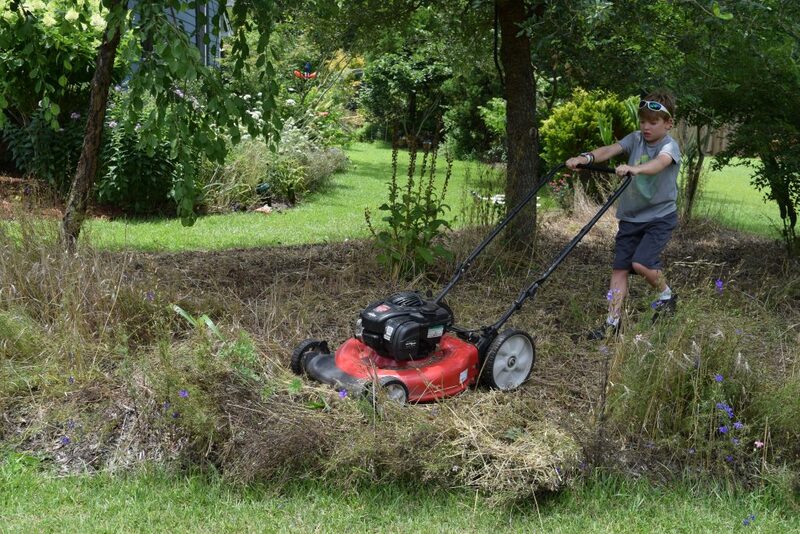 You can start by planting bed edges- you will be amazed by how much square footage is available. Bed edges are a great place to grow low maintenance plants such as garlic, arugula, lettuce, basil and peanuts. This location is easy to access for watering and harvesting and really makes a visual impact. 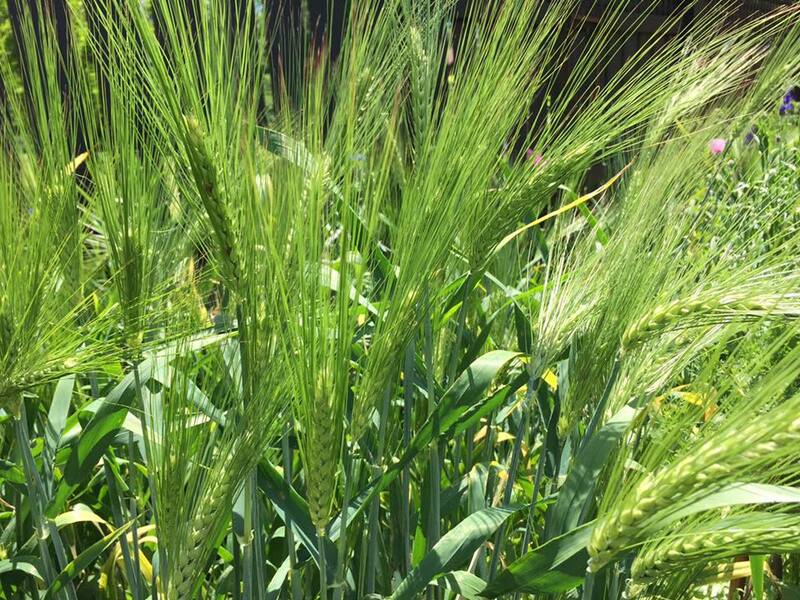 Growing traditional grain crops is my current obsession, I have dubbed myself the #crazygrainlady after all. Seldom addressed in the local food movement, ancient grains are making waves, recently named “the next culinary craze” according to the New York Times. From edible meadows to sophisticated spaces using clumps of oats, quinoa, rice, sorghum and wheat grains offer low maintenance requirements with a big design impact. They are essentially an ornamental grass with a nutritional benefit. Grains also provide opportunities beyond the labor intensive “old fashioned milling”. You can grow millet and oats to attract and feed your favorite birds and wildlife and even use the stalks to help improve your soil. Enjoy this low maintained, high impact grain display! 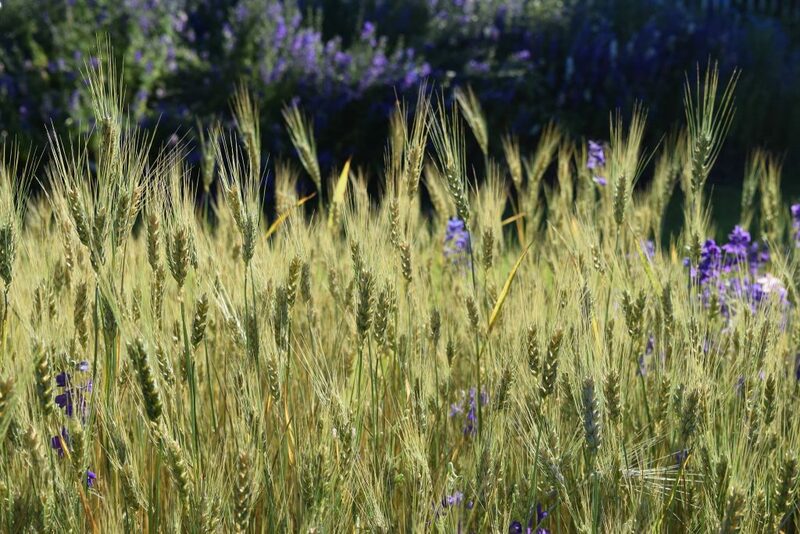 Grains provide seasonal interest and actively engage people who have likely never seen a wheat or rice plant growing. 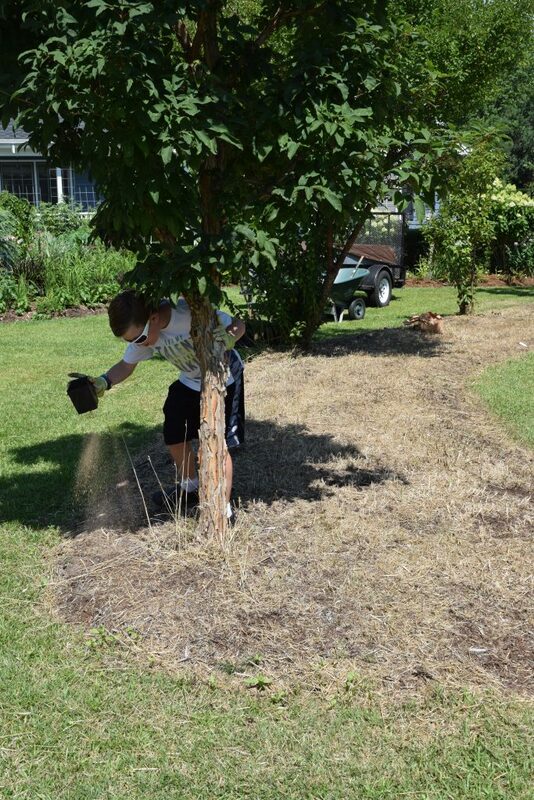 Each year we harvest 15lbs of ground flour from this 850 square foot bed that dissects our front yard and is planted with ornamental trees. We throw a “Cocktail Harvest” party and host a “threshing throw down” with neighborhood children. And on the evening of July fourth, we challenge our friends to see who can grind the fastest. This has been a wonderful new tradition that provides everyone with an authentic experience and a greater appreciation for the resources modern agriculture provides. Ultimately, the goal of Foodscaping is to show the vast opportunities that existing landscapes offer. From reducing your food miles and carbon foot print to eliminating food deserts in every community, incorporating edibles in traditional ornamental landscapes is an easy way to contribute to the world in a meaningful way. As professional horticulturist I strive to meet the needs of a growing population and focus on ways to extend the relevance of gardening in the modern American society. 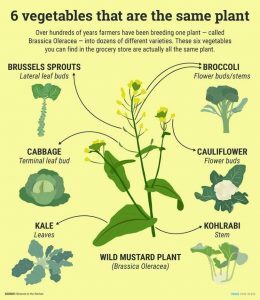 I am proud to see plants being recognized for all of the attributes they represent: beauty, ecology, health, wellness, nutrition and lifestyle. 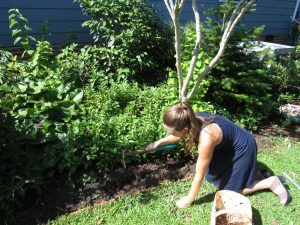 Foodscaping is a design technique that embraces the heritage of home gardening while developing a new level of sophistication for modern day living. 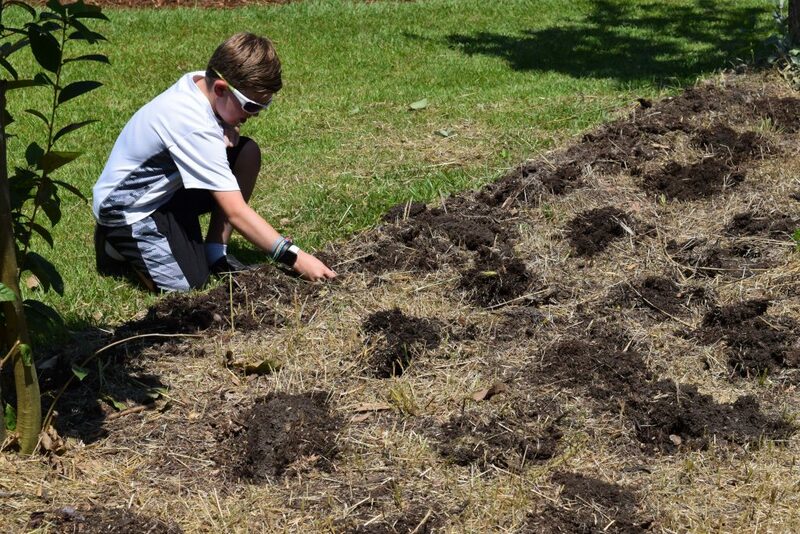 In the spirit of Thomas Jefferson and the talented staff of Monticello, join the Foodscape Revolution and harness the sun, soil and irrigation systems of the everyday landscape! Start using your growing skills to nourish your family, community and environment.